Former Panther Mary Chaudoin during her time with the SEC Network. Chaudoin started working for the channel when it first launched in 2014 and continued to work there for the next three years before getting a job with CNN. As a teen, sports were at the center of Panther alumna Mary Chaudoin’s life. 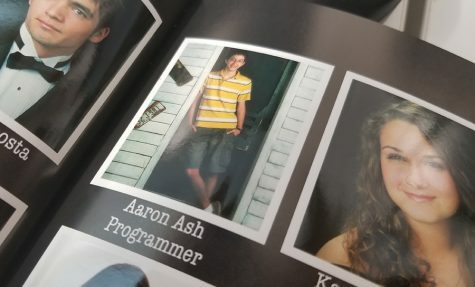 A decade after graduating from the Mill, this still holds true. In high school, Chaudoin played basketball and volleyball, leading to her college success in volleyball and later to a series of careers in the sports industry. 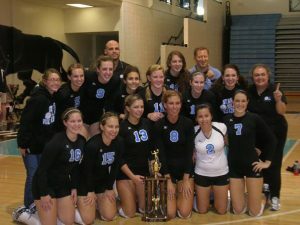 Panther alumna Mary Chaudoin (8) with the rest of the 2008 Starr’s Mill volleyball team. Chaudoin led the Panthers to the AAAA GHSA State Championship match both her junior and senior year. Chaudoin played varsity basketball freshman and sophomore year and varsity volleyball all four years of her high school career. Chaudoin quit basketball after her sophomore year to focus all her time on volleyball. Outside of school, Chaudoin also played club volleyball while academically she challenged herself just as much by taking as many AP classes as possible. Chaudoin’s hard work in volleyball paid off her junior and senior year when she was able to lead the Lady Panthers to the AAAA GHSA State Championship match from her position at setter. Along with this accomplishment, Chaudoin’s success was rewarded with a long list of state recognitions as well as being ranked nationally in the top 150 players in the country by prepvolleyball.com and being one of the top-50 finalists for the Andi Collins Award, given to the nation’s top setter by prepvolleyball.com. “We came up a little bit short [in the championship matches], but it was a joy and honor to wear the Panthers jersey and winning state player of the year a couple years in a row and getting a lot of other fun trophies and accolades for volleyball in the state of Georgia,” Chaudoin said. Although Chaudoin excelled at volleyball and loved the sport, she knew that being able to play professionally wasn’t a realistic goal especially at a time when it wasn’t very well known in the United States. She instead set her goal to that of earning a scholarship to play volleyball at the college level, which she earned. 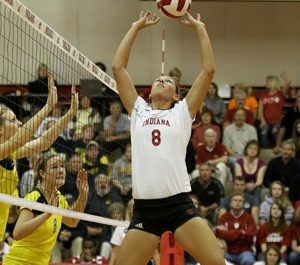 Former Starr’s Mill varsity volleyball player Mary Chaudoin playing from her position as setter at Indiana University. Following graduating from the Mill, Chaudoin earned a volleyball scholarship to Indiana University where she helped lead the team to their first Sweet Sixteen appearance in school history her junior year. 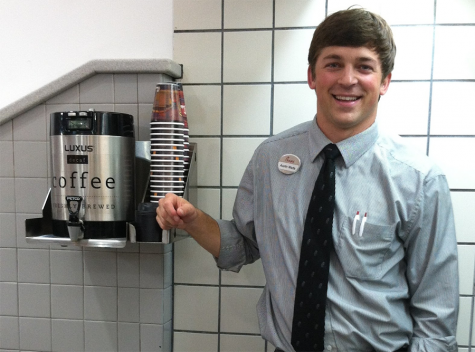 After graduating from the Mill in 2008, Chaudoin attended Indiana University. This gave Chaudoin the opportunity to compete in the Big Ten conference which is the most prestigious for volleyball. Chaudoin’s time at Indiana was recorded through her impressive stats which helped lead the Hoosiers to their first Sweet Sixteen appearance in school history in 2010. Academically, Chaudoin majored in political science communications and minored in business at Indiana University. Chaudoin expressed that when growing up she was always very passionate about politics and, along with sports, it was a common discussion in her household. “I think the biggest difference [between high school and college] is just the level of academics and athletics with the increase of the level. It takes a lot more time to be able to compete at those higher levels, whether it’s in the classroom or on the court,” Chaudoin said. Following her time at Indiana University, Chaudoin obtained a job at ESPN shortly after graduating. For the first two years of her career with ESPN, Chaudoin worked at their headquarters in Bristol, Connecticut, on major productions including College Gameday. Her work at ESPN showed Chaudoin the first-hand perspective of the behind the scenes of sports media. 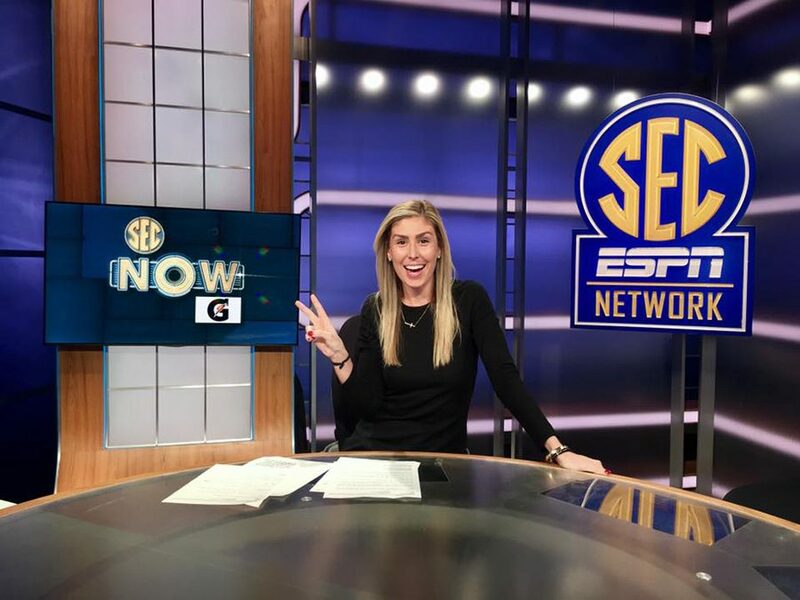 Through the connections she made at ESPN headquarters, Chaudoin was offered the opportunity to be a part of SEC Network’s launch at one of ESPN’s regional offices in Charlotte. Chaudoin accepted new position, giving her a chance to move closer home to the warmer south. 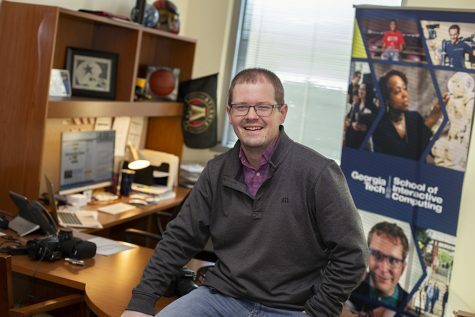 With the SEC Network, Chaudoin was able to work a plethora of events including the Women’s College World Series, the NBA Draft, the Nathan’s Hot Dog Eating Contest, the Orange Bowl, the Peach Bowl, and the Rose Bowl, as well as other primetime college football games. “[At the SEC Network] I got to work directly on the primetime college football package with the SEC Network and got to be the assistant for film breakdown and different edits for Brent Musburger, who’s a legend in any sort of sports calling, so that was extremely special and a great opportunity where I learned a lot,” Chaudoin said. 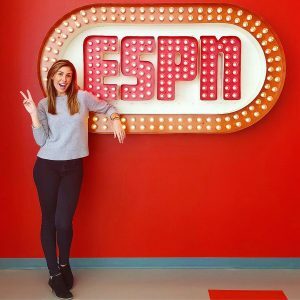 Starr’s Mill alumna Mary Chaudoin while employed with ESPN. 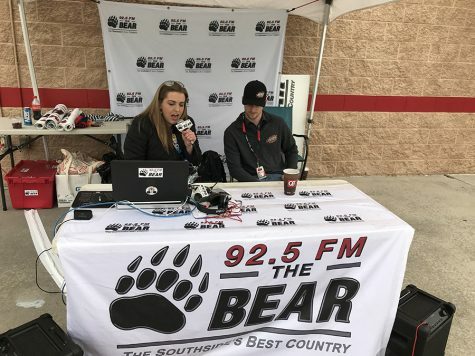 Chaudoin started her career with ESPN shortly after graduating Indiana University in 2011 and worked at their headquarters for two years before transferring to join the SEC Network. After her incredible career with the SEC Network, Chaudoin accepted a position with CNN and made the move back to Atlanta where she currently resides. Chaudoin worked in CNN’s Sales Program for just a year before being offered an opportunity to work as the Product and Brand Manager for Mizuno Volleyball where she has now worked for just over a year. 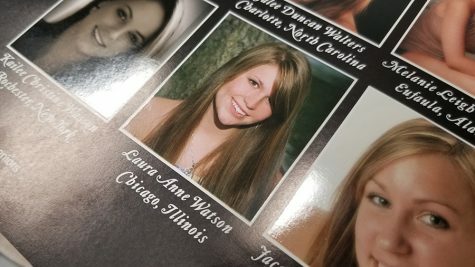 “It’s crazy how it’s all full circle where I guess you could say my first job was playing volleyball at Starr’s Mill High School and club volleyball outside of school, and now my job is to produce the product that the girls wear in high school and college and club, and manage not only the products but also the brand image,” Chaudoin said. Thinking back to where she started, Chaudoin simply advises student-athletes to “be fully present.” As a high school student one often feels pressured to grow up, but Chaudoin preaches to enjoy the moment not only in volleyball or sports but really just in the high school experience as a whole. In addition to struggling to be fully present at all times, Chaudoin believes her greatest struggle as a student-athlete was trusting in herself and being confident. Through her success in sports, academics, and her career, Chaudoin sets an exceptional example for the Mill to look upon, especially for our numerous student-athletes. Marie Chaudoin was ,is,and will always be a winner!!!!! !